Open Farm Sunday was a perfect opportunity for us to take a trip to Easton Farm Park. Its been many years since I last visited so I was keen to see what it had to offer. With so much to see there really is something for everyone; animals, walks, tractors and farm machinery to name a few things to look out for. I love things that make me smile and there were lots of those…. Yes it is a baby donkey! The cutest thing ever and we were so excited as we had never seen one before. He is called Marvin and here he is only a few weeks old. He was just adorable!! 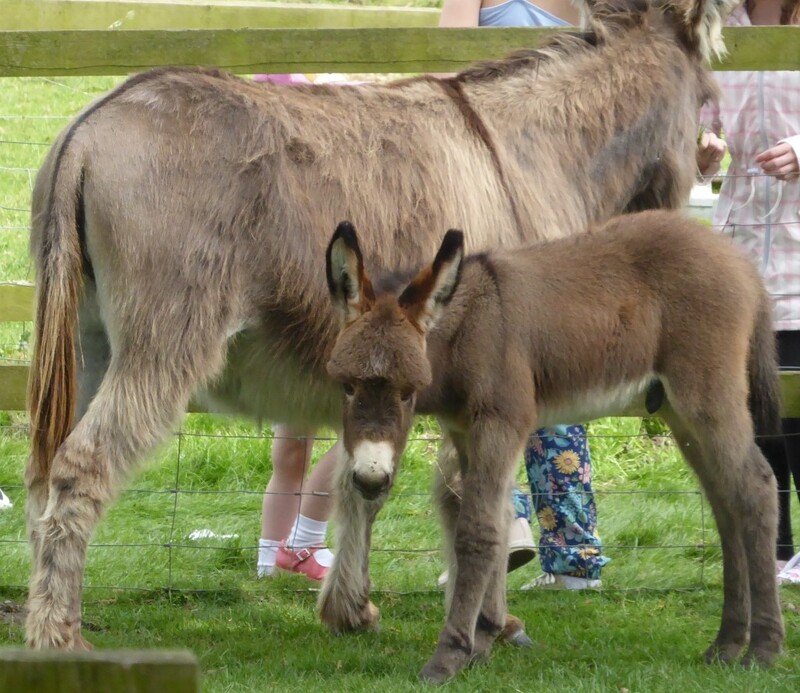 Isn’t Marvin the cutest baby donkey EVER! 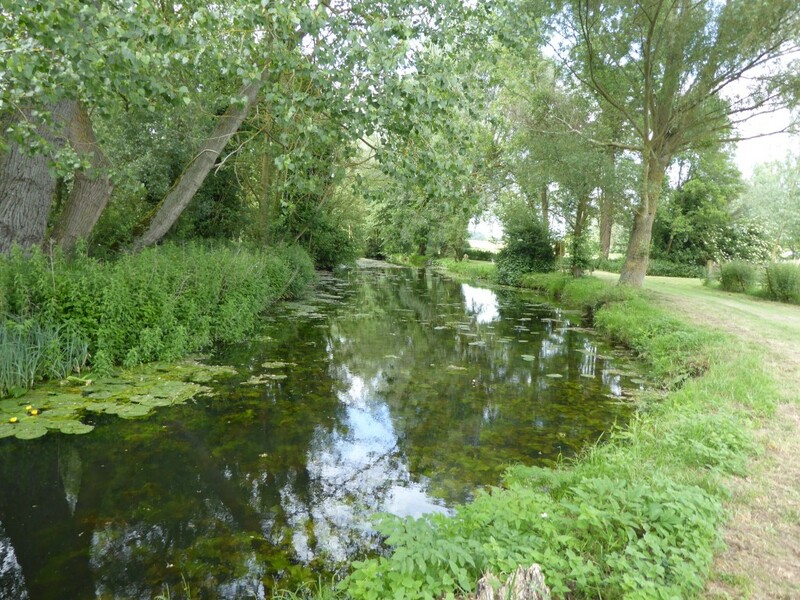 We loved walking along the River Deben that weaves it way through parts of the farm. It was really peaceful following it as we admired the surrounding fields of sheep. Strolling along the River Deben listening to baa’s of the sheep! I really enjoyed being able to get close to one of my favourite forms of transport….yes a tractor of course! 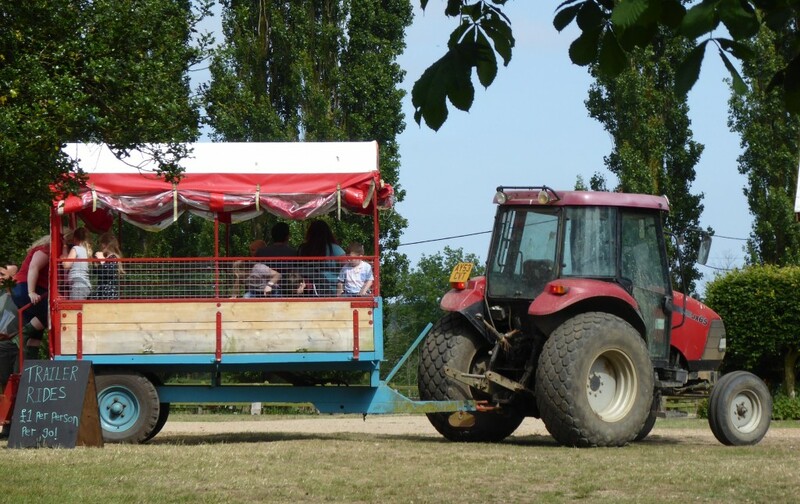 It really is a great place to see farm machinery and have the chance to climb aboard – and wow its high, but well worth the effort and tackling your fear of heights! 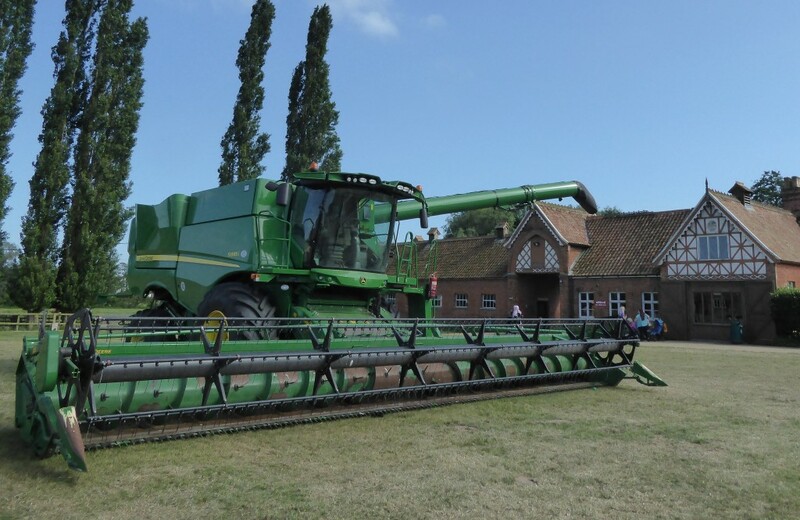 Its a long way to climb up to the cab of this combine harvester! Some of the animals that made us smile in addition to Marvin the cute baby donkey, was a sleeping goat, some pigs, and a Suffolk Punch foal. 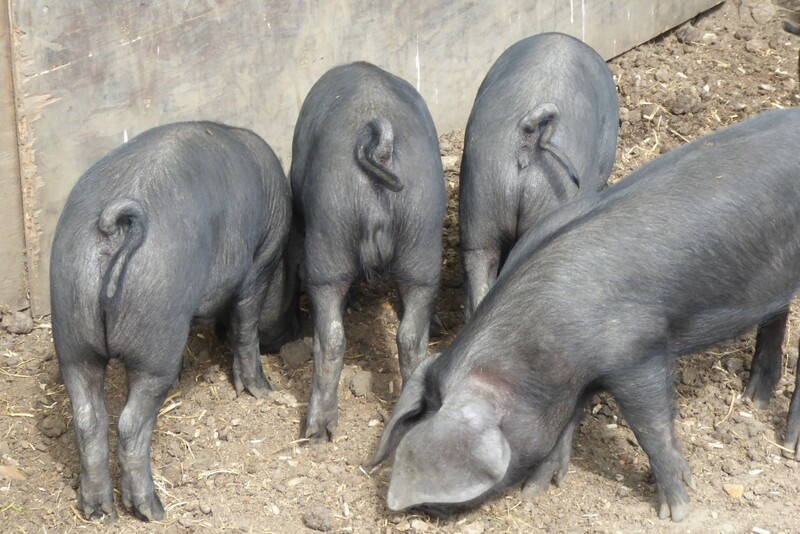 Love pigs but they have got to be the most difficult animal to photograph – they always have their heads on the ground! Let me introduce you to Harry. 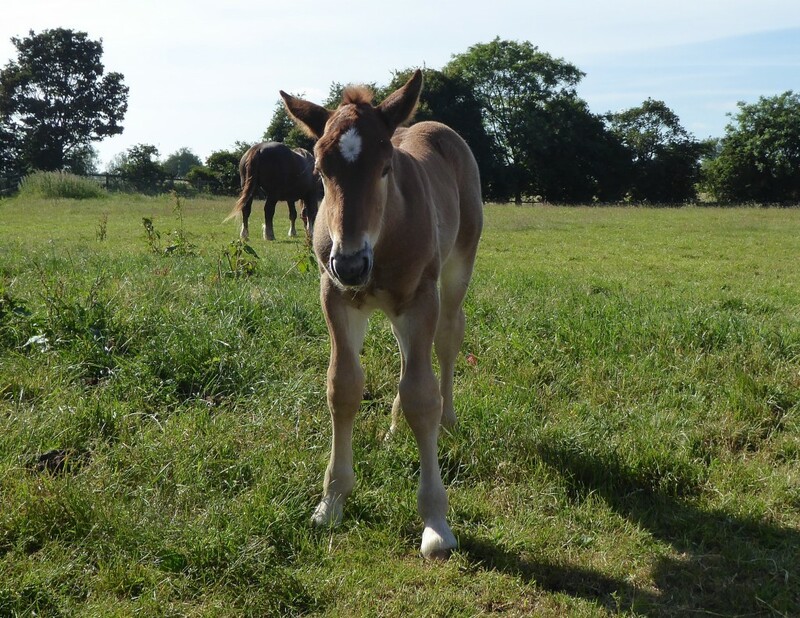 Suffolk Punch foals are so sweet, their legs always look far too big for their bodies! 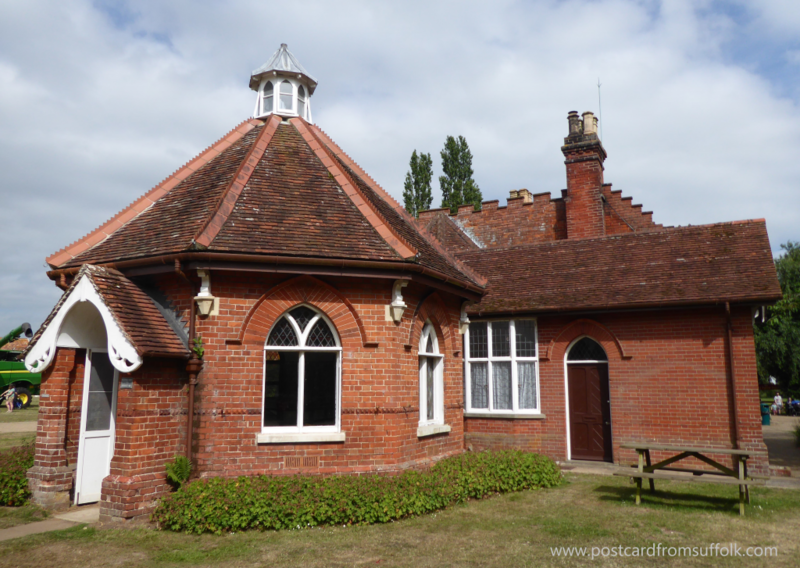 I love old buildings and I especially liked the look of the old Victorian dairy as we strolled around the park. I wasn’t prepared for the surprise that met us inside. 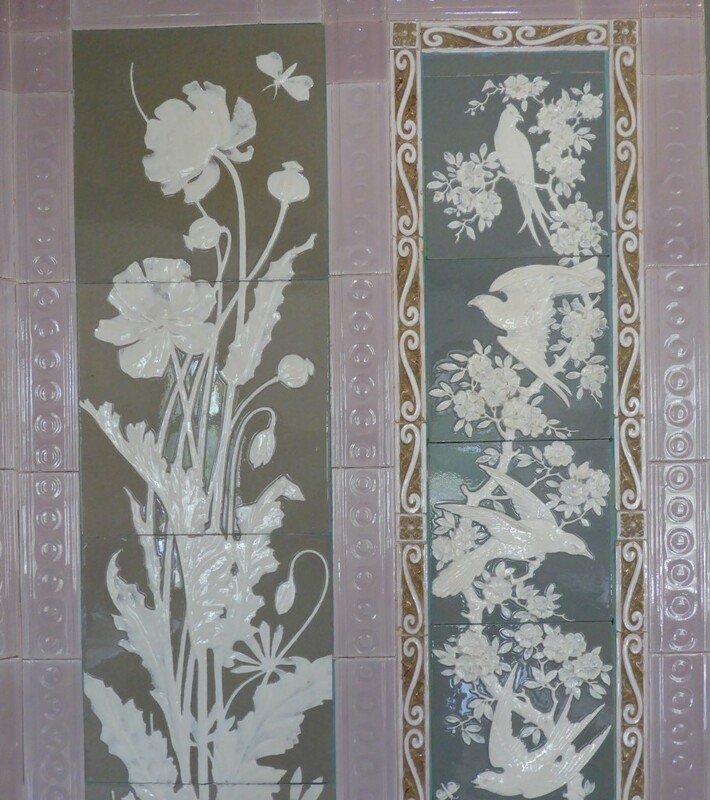 It was full of wonderful original features and I absolutely loved these original tiles. It was lovely to read about what life would have been like for a 12 year old Victorian dairy maid too! 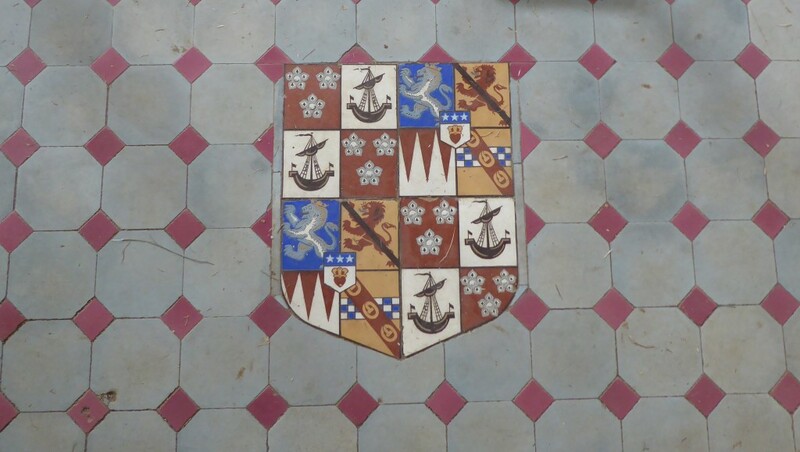 These are the floor tiles! Throughout the park there were plenty of spaces to sit and have a picnic and plenty to do if you wanted to spend most of the day there. 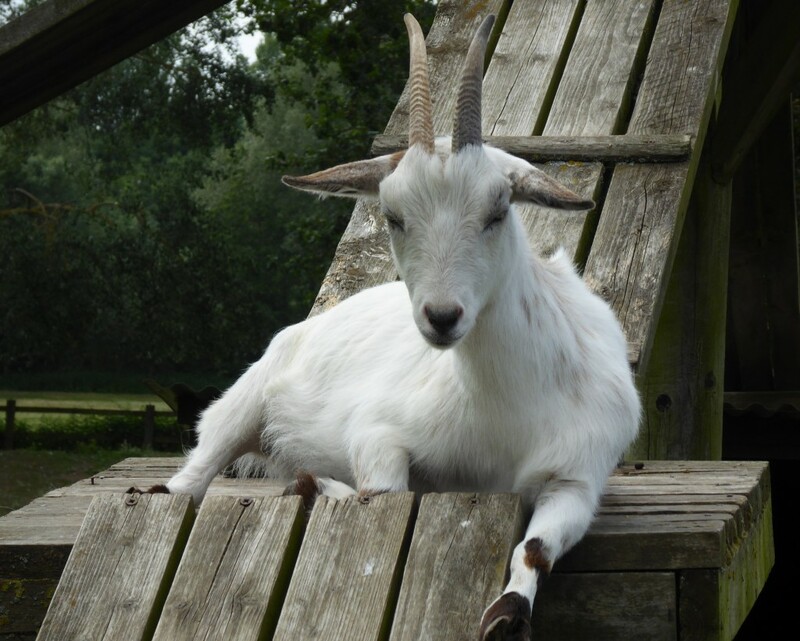 A great place for children who love animals (and us adults too! 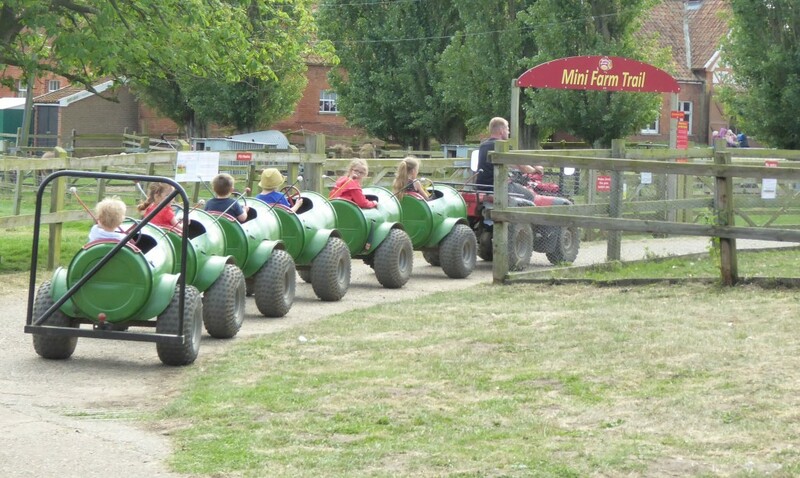 ), you can even explore the park via some more unusual modes of transport that looked like good fun too! This looked like a giant caterpillar! The park has lots of different events throughout the year. Our visit on Open Farm Sunday was great as entry to the park was free and a great way of finding out if it is the sort of place you may like to visit in the future. Our answer was yes by the way! After treating ourselves to an ice cream, we returned home smiling as we discussed what animals we had enjoyed meeting the most. Open Farm Sunday takes place in June each year and its a great way of finding out about farming and visiting farms, some of which are not usually open to the public.